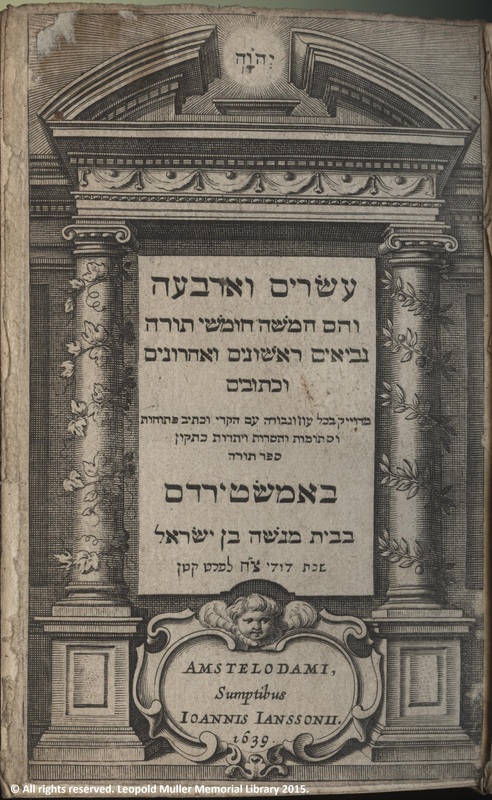 Menasseh ben Israel’s edition of Esrim ve-Arba’ah (Amsterdam, 1637-1639), Weiss Western Sephardi Collection, shelfmark: PB386. This small, octavo Hebrew Bible was printed by Menasseh ben Israel, the famous Amsterdam scholar and printer, “the founder of Anglo-Jewry” – as Cecil Roth called him. Menasseh printed three complete Hebrew Bibles in the 1630s. Like his two previous Hebrew Bibles, this edition also has an engraved title page with an architectural design. It provides information about the publication both in Hebrew and underneath in Latin. 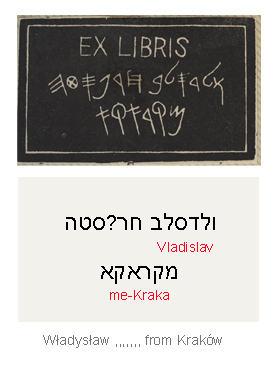 The Hebrew mentions Menasseh ben Israel, while the Latin gives Ioannis Ianssonius as the publisher. The reason for this is that this Bible was intended to accompany a Greek and Latin New Testament published by Jan Jansson, a Christian publisher and cartographer. There is a discrepancy in Hebrew and the Latin dates of publication: the Hebrew date is given on the title page in a chronogram citing Psalms (5:10): “My beloved is pure” (שנת דודי צ”ח לפרט קטן). The numerical value of the word צח is 98 which is an abbreviation for anno mundi 5398, that is, 1637 or 1638 CE. The Latin date is however 1639. This Bible is not accompanied by an introduction; the title page is immediately followed by the biblical text. Unlike Menasseh’s two earlier Hebrew Bibles, this edition is vocalized. The text is printed in two columns, with Masoretic annotations and verse numbers in Hebrew characters in the margins. The Five Megillot (Scrolls) are printed at the end of the Pentateuch, and a table of the Haftarot (additional readings from the Prophetic books) can be found at the end of the volume followed by the colophon of the printer. 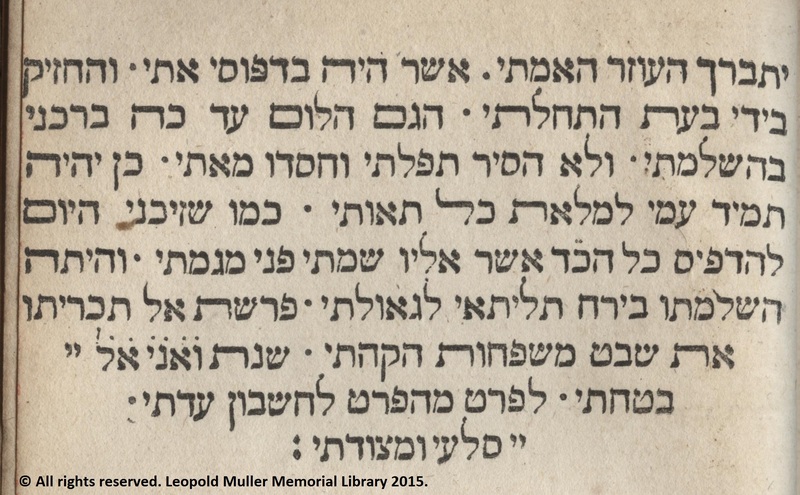 The provenance of this copy in the Weisz Western Sephardi Collection takes us further away from Amsterdam and Europe. On one of the last flyleaves, there is an ownership inscription by “Clarence Isaac de Sola.” Could this Clarence be Clarence da Sola, the third son of Montreal’s famous rabbi-scholar, Abraham de Sola? The London-born Abraham was a leader of the Spanish and Portuguese congregation Sheerith Israel (Remnant of Israel) in Montreal, Canada. Clarence became a wealthy businessman with deep interest in the welfare his Jewish community as well as in Anglo-Jewish matters and corresponded with Moses Gaster. Thus, it is very likely that a book previously owned by him ended up in the collection of the Spanish and Portuguese Synagogue of London. Clarence was also involved in the Canadian Zionist movement and kept himself informed about Zionist events worldwide. One could say that this copy of Menasseh ben Israel’s Bible certainly got into the right hands: Menasseh himself was a diplomat and got actively involved in the readmission of the Jews in England. Clarence followed a similar path by pursuing the welfare of the Jews and propagating the Zionist cause two and a half centuries later. This entry was posted in Acquisitions, Hebrew printing, Zionism on 10 August 2015 by .